Quite possibly the most talked about running shoe of all time, the Air Max 95 was an instant success when it first hit the scene in 1995. It was adopted by serious runners at first, but soon after sneaker junkies and fashionistas picked up on the shoe’s unique and appealing design. 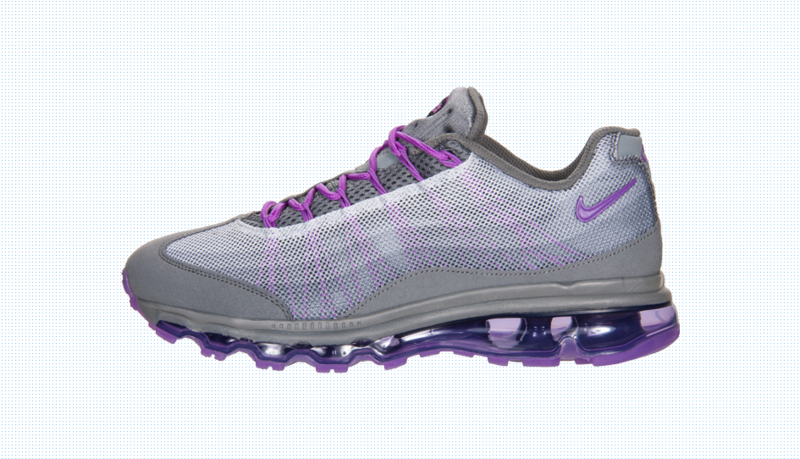 While you still may see someone once in a blue moon running in a pair of Air Max 95’s, new runners with more advanced technologies have since replaced this classic shoe. To much appreciation of runners and the style conscious alike, Nike has given the ’95 a few serious updates that make this iconic model running friendly once again. 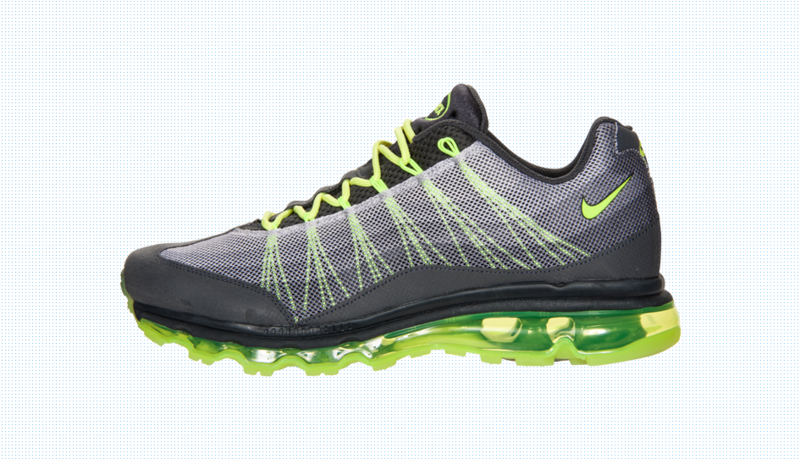 A major new technology incorporated in the Nike Air Max 95-360 DYN that makes for a great runner is the Dynamic Flywire upper. While other runners have uppers constructed of multiple pieces of materials, this shoe’s upper is made from one piece of mesh, ultimately making for a more comfortable and lighter weight shoe. The Dynamic Flywire straddles the foot from the footbed to the lacing system, which greatly increases the shoe’s support. 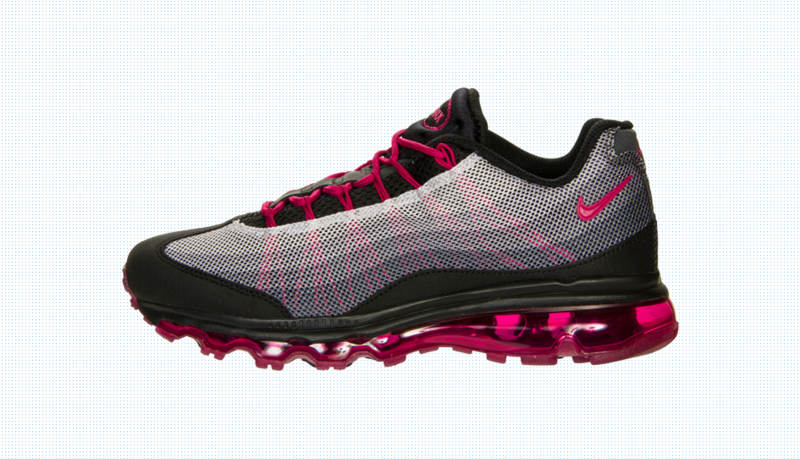 For an ultra responsive and comfortable cushioning system, Nike gave the Air Max 95 DYN the same midsole featured on the all new Air Max 2013, which features a full length Max Air unit as well as flex grooves for enhanced flexibility. Durability and traction has also improved on this new model, thanks to the solid rubber Waffle outsole. The brand new Nike Air Max 95-360 DYN is one of those running shoes that you are never going want to take off, whether you are heading out for a long run or out shopping on the weekend. It has the classic styling of the familiar shoe we all know and love, but thanks to performance enhanced updates, we can love running in them once again as well.